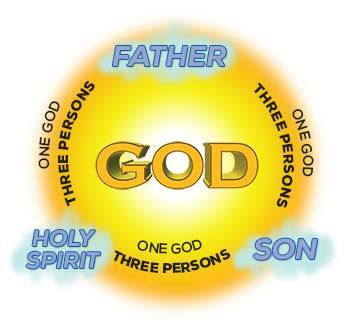 The Bible tells us that there is only one God; yet He is in three Persons—God the Father, God the Son, and God the Holy Spirit. These three Persons are one God. God the Son is the Lord Jesus. He came into the world as a tiny baby and lived here for 33 years. He died on the cross for our sins; He was buried; but He rose from the dead on the third day. He is our living Savior. God the Holy Spirit cannot be seen, but He is a real Person, equal in power and glory with the Father and the Son. 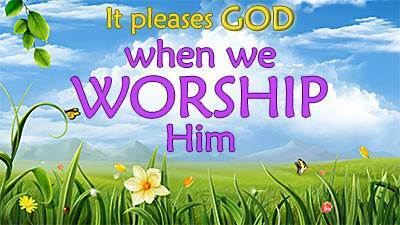 Let us learn more about our wonderful God. Because we are human beings and have bodies, we can be in only one place at a time. Because God is God and because He is Spirit, God can be everywhere at the same time. 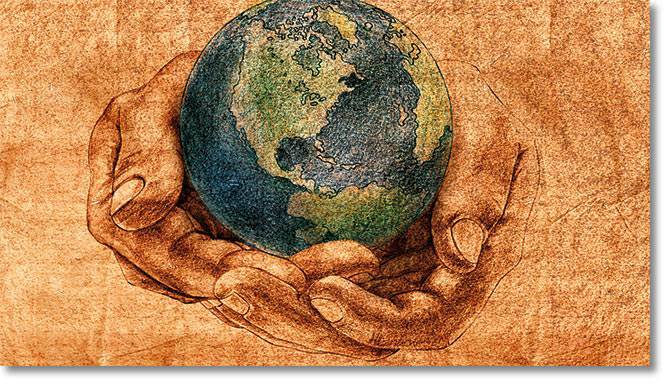 God said, "Do not I fill heaven and earth?" (Jeremiah 23:24). No matter where we go in the world, God is always with us. We cannot see God because He is Spirit, but He is always with us. This means that God always does what is right. The Bible says, "The Lord is righteous in all His ways, and holy in all His works" (Psalm 145:17). Because God is holy and righteous, He must punish all sin. God cannot overlook our sins or pretend that He does not know about them. But God has made a way for us to be forgiven of all our sins. He sent His Son Jesus to die on the cross for our sins. When we take the Lord Jesus as our Savior, God forgives us of all our sins and makes us His child. This means that God always keeps His word. God always does what He says He will do. The Bible says, "God…cannot lie…" (Titus 1:2). Sometimes we make promises but do not keep them. We may forget our promises or we may just not keep our word. But God never forgets a promise. He always keeps His word. God always does what He says He will do. The Bible says, "Know therefore that the Lord your God, He is God, the faithful God" (Deuteronomy 7:9). This means that God knows all things, and He always does what is right. He knows everything that has ever happened, and He knows everything that is going to happen. He said, "I am God, and there is none like Me, declaring the end from the beginning…" (Isaiah 46:9-10). Scientists tell us that there are billions of stars in the universe. No one can count them, but God knows exactly how many there are. He even has a name for each one of them! 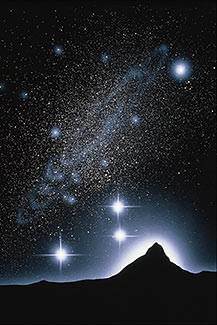 The Bible says, "He tells the number of the stars; He calls them all by their names" (Psalm 147:4). But what God cares most about is not stars—it’s people! He knows and loves each of us personally. This means that God has all power in Heaven and in earth. He can do anything! Nothing is too hard for God. The Bible says, "For with God nothing shall be impossible" (Luke 1:37). God has ALL power. All the kings and presidents of all the countries in all the world are as nothing compared to Him. Because He has all power, God can do whatever He chooses to do. God is always holy. God is always righteous. God is always loving. God is always faithful. God is always good. God is always the same. It is wonderful to know that He is always the same. God said, "I am the LORD, I do not change…" (Malachi 3:6). This means that God always does what is best for us. He does this because He loves us. The Bible says, "O give thanks unto the Lord; for He is good…" (Psalm 136:1). Heaven is filled with goodness and happiness. God wants us to enjoy Heaven with Him. The Bible says, "Oh how great is Your goodness…which You have prepared for those who trust in You before the sons of men" (Psalm 31:19). Even though He is the great, exalted Ruler of the universe, God loves you and He wants to be your Friend. He loves you more than you can ever know, and He knows all about you. He knows your thoughts. He even knows how many hairs you have on your head. Jesus said, "Even the very hairs of your head are all numbered" (Matthew 10:30). This shows us how much God loves us. Did you know that God has actually been here on this earth? God the Son, the Lord Jesus, came into the world as a tiny baby. He grew up and lived here for 33 years. Just think! The Son of God has lived here on this earth! God wanted us to know what He is really like, so He sent His beloved Son into the world. 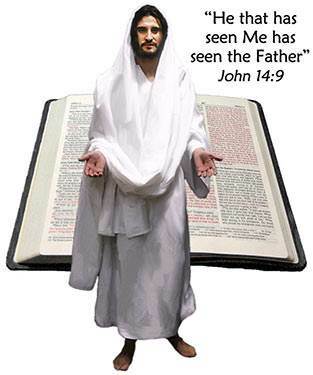 The Bible says, "No man has seen God at any time; the only begotten Son…He has made Him known" (John 1:18). Jesus came to tell us and to show us what God is really like. Jesus said, "He that has seen Me has seen the Father" (John 14:9). A little boy who had learned about Jesus said, "Jesus is the best picture of God that was ever taken!" Jesus did mighty works which only God could do. He gave sight to the blind. He healed all kinds of sicknesses and diseases. He even raised three people from the dead! 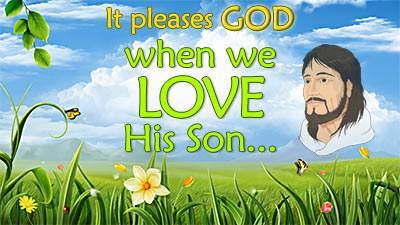 Jesus taught us that God loves us even though we have sinned. It is true that God hates sin, but He loves sinners. Because of our sins, we are separated from God, but God does not want to lose us. That is why He sent His Son to be our Savior. The Bible says, "God showed His love toward us, in that, while we were yet sinners, Christ died for us" (Romans 5:8). 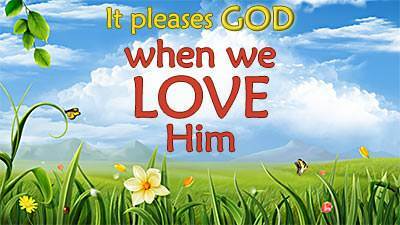 We should love God with all our heart because He loves us so much. …the Lord Jesus, and take Him as our Savior. We love Him because He loved us and gave His life for us. 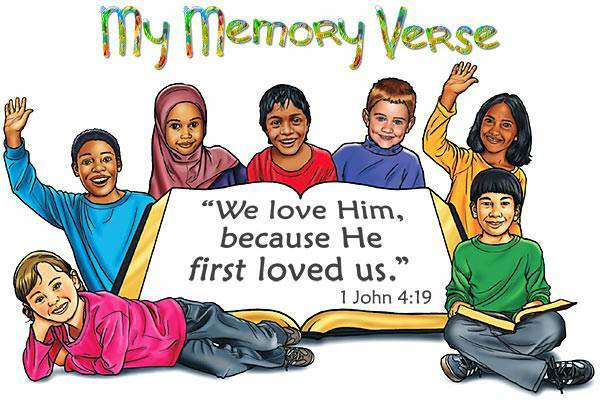 The Bible says, "We love Him, because He first loved us" (1 John 4:19). I believe that Jesus is the Son of God, that He died on the cross for my sins, and that He rose again the third day to be my living Savior. I receive (take) the Lord Jesus into my heart as my Savior. The Bible says, "As many as received Him, to them gave He power to become the sons of God…" (John 1:12).